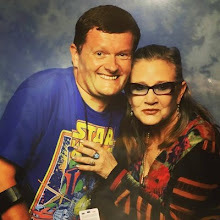 Annie Leibovitz has photographed Star Wars actors since capturing the cast of The Phantom Menace in 1999. Subsequently the famed photographer's lavish photo shoots have become a tradition. Now, Vanity Fair has released four variant covers to commemorate the 40th anniversary of George Lucas' space opera. The first is Rey and Luke, the second is Captain Phasma, Kylo Ren, and General Hux, the third is Poe Dameron, Finn, and Rose Tico, and the fourth is General Leia. Most notably Carrie Fisher has a cover all of her own. 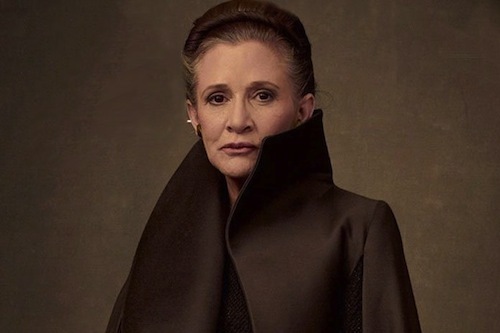 This is in tribute to the late actress and her final appearance in the upcoming The Last Jedi. The grouping of characters suggests the story structure of The Empire Strikes Back. 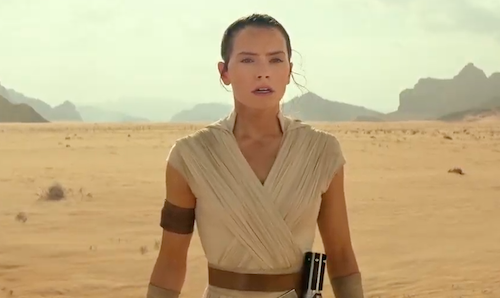 Leibovitz’s full photo shoot will be online Wednesday, along with a story on the making of Rian Johnson's upcoming sequel to The Force Awakens. Star Wars: The Last Jedi arrives in cinemas 15th December.